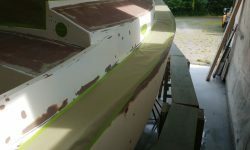 Moving forward with the final preparations leading to high build primer, I began the day vacuuming the interior and decks, and cleaning up the boat and shop to remove dust. 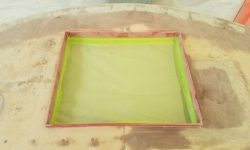 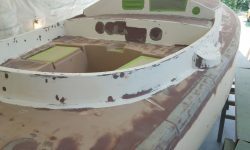 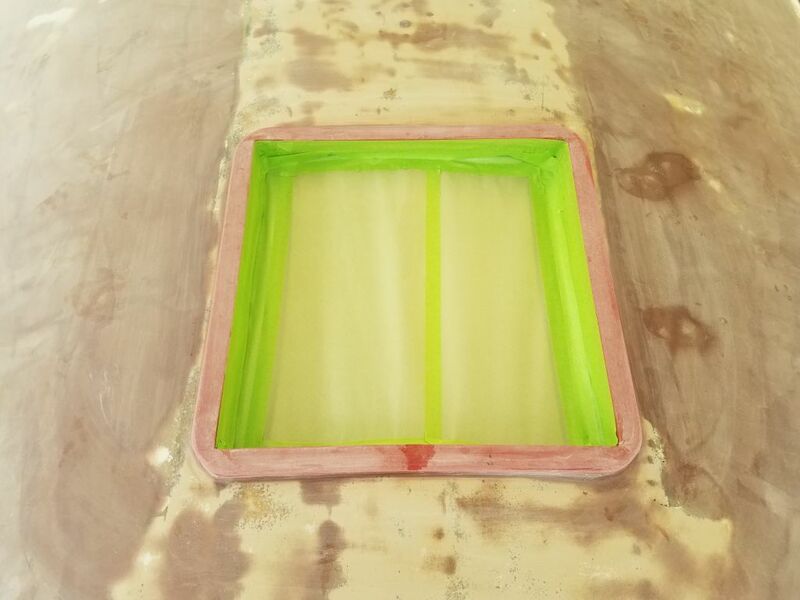 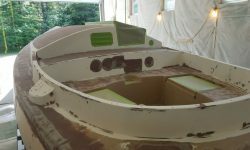 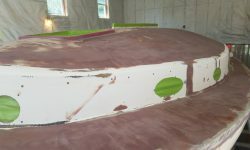 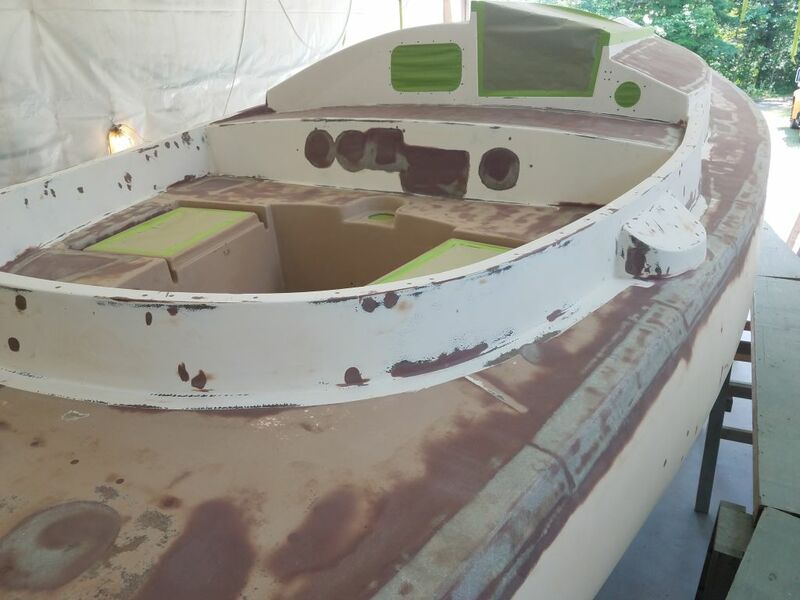 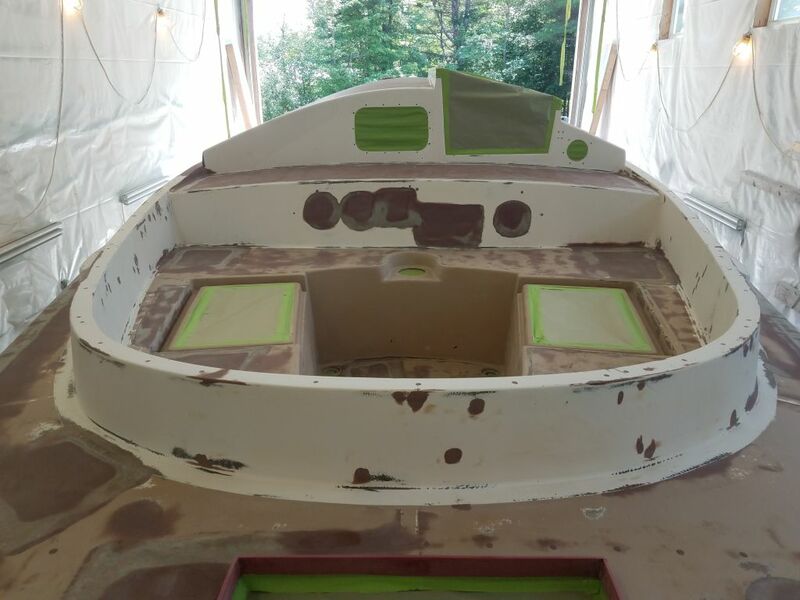 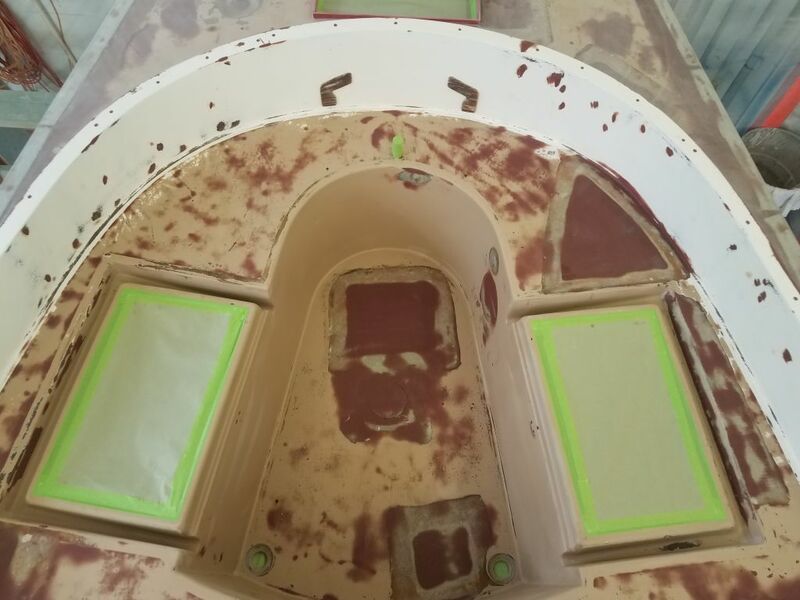 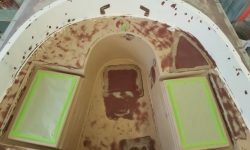 Afterwards, I solvent-washed the decks so I could start to mask off the various openings before spraying, starting with forward hatch and any other openings accessed from the cabin, including the two forward-facing port openings. 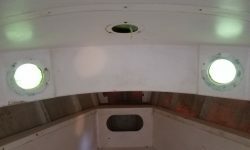 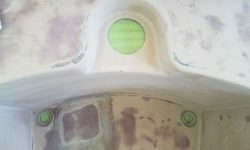 In the engine room, I masked over the cockpit scuppers and compass hole from beneath, and I crawled aft to mask over the new lazarette hatch from within as well. 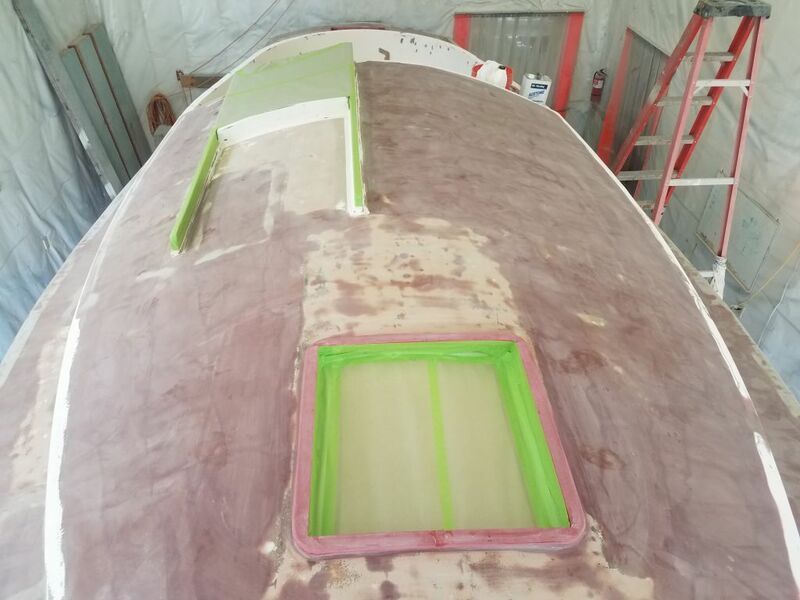 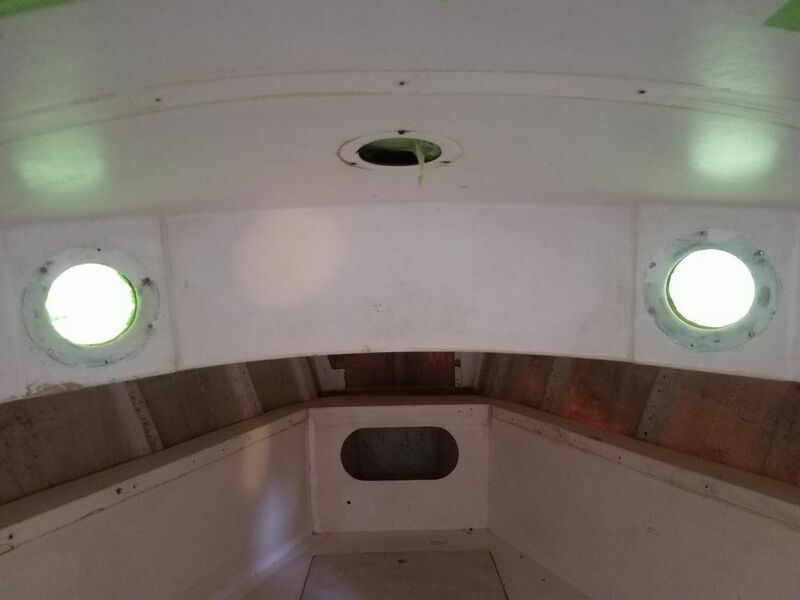 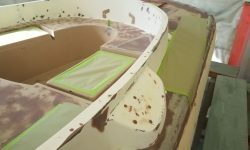 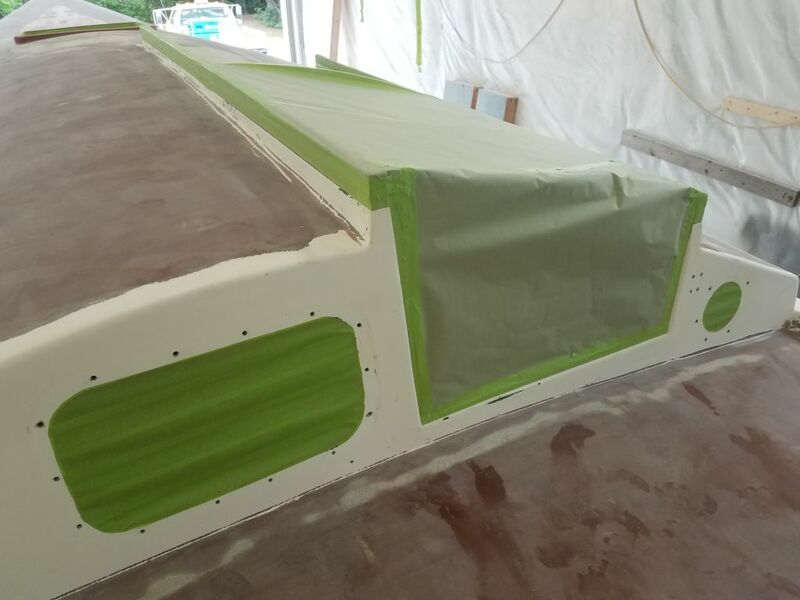 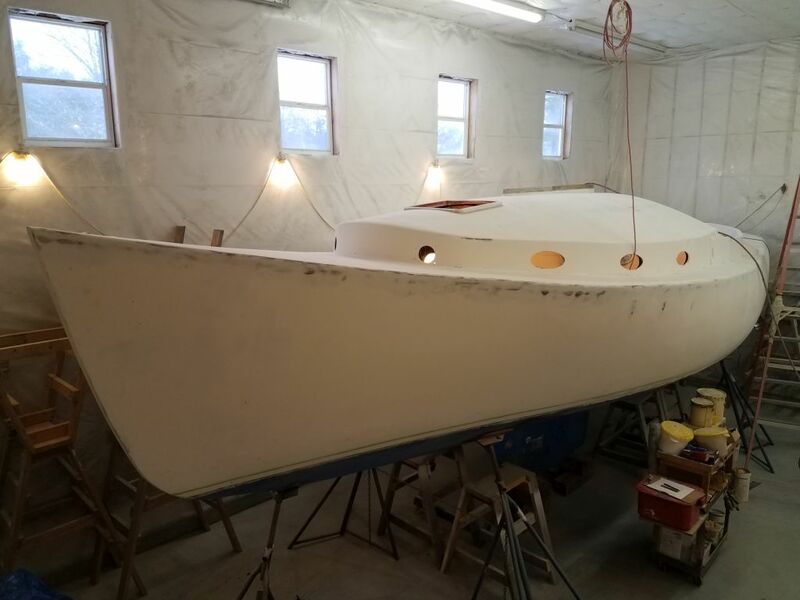 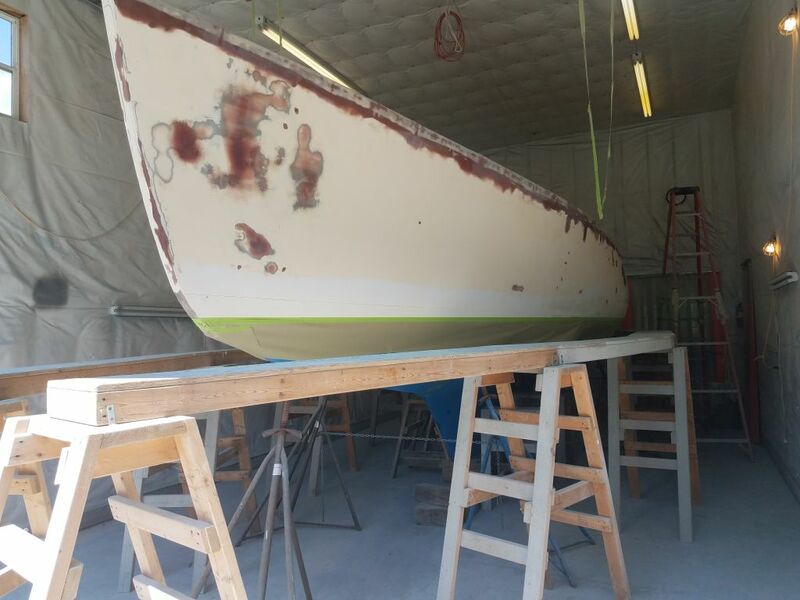 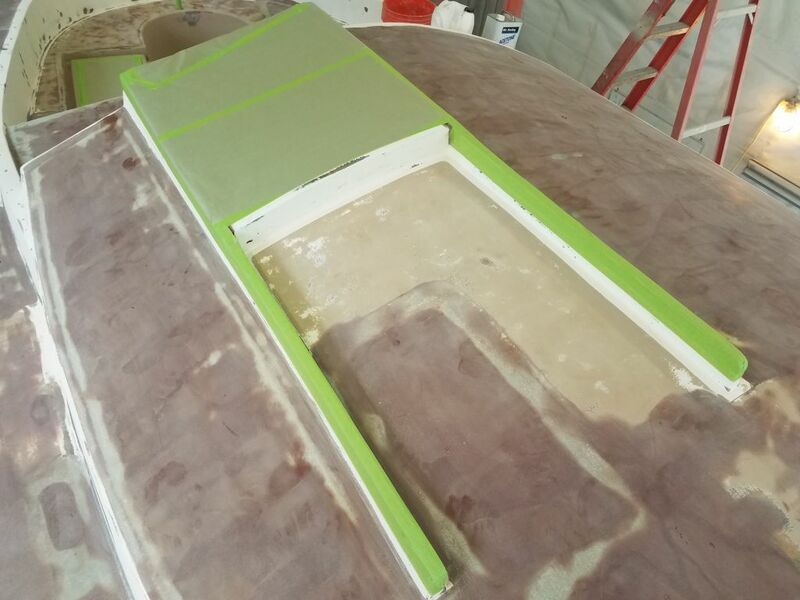 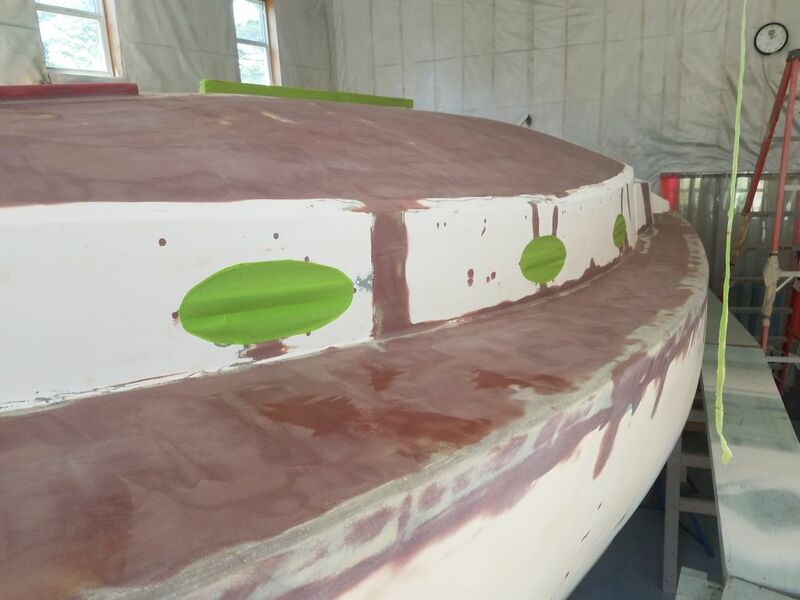 With interior work complete, I masked over the companionway opening and wooden slide rails, as well as the large opening port in the aft end of the cabin. 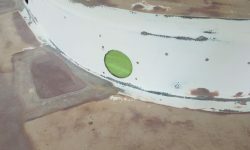 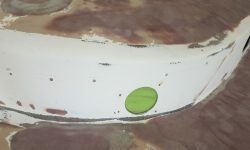 In the cockpit, I masked the rudder post and the two locker openings. 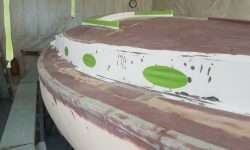 To continue working on deck, as well as prepare for spraying ahead, I had to set up the staging to deck height again. 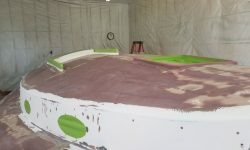 Before I did so. 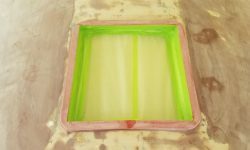 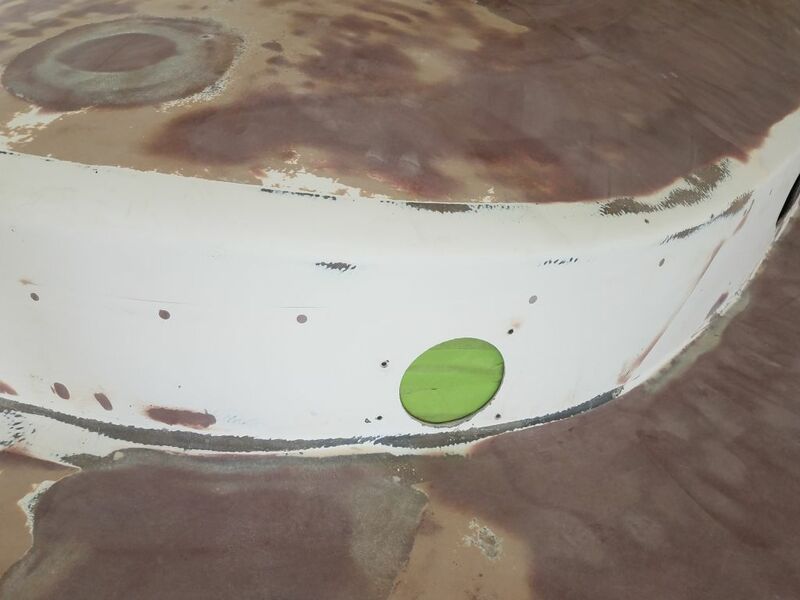 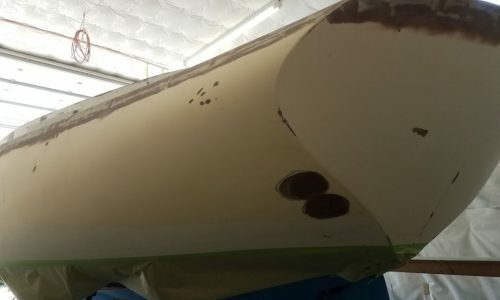 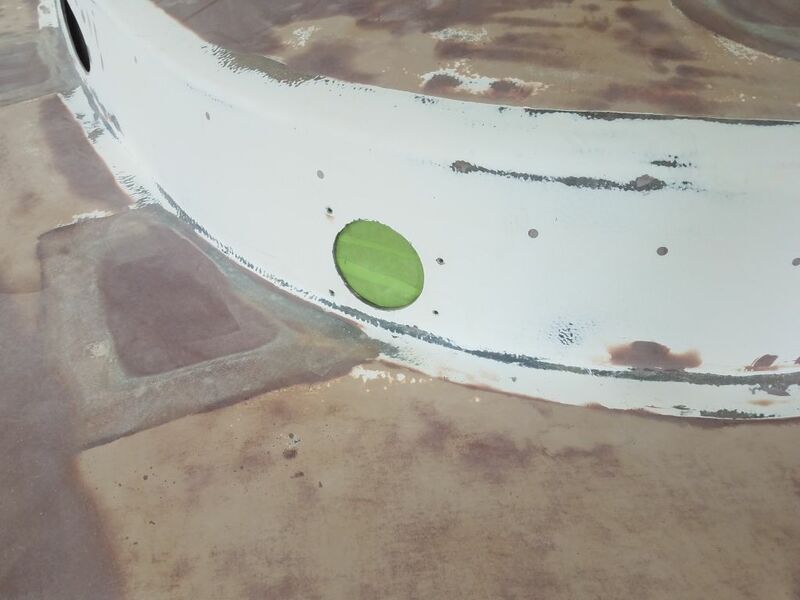 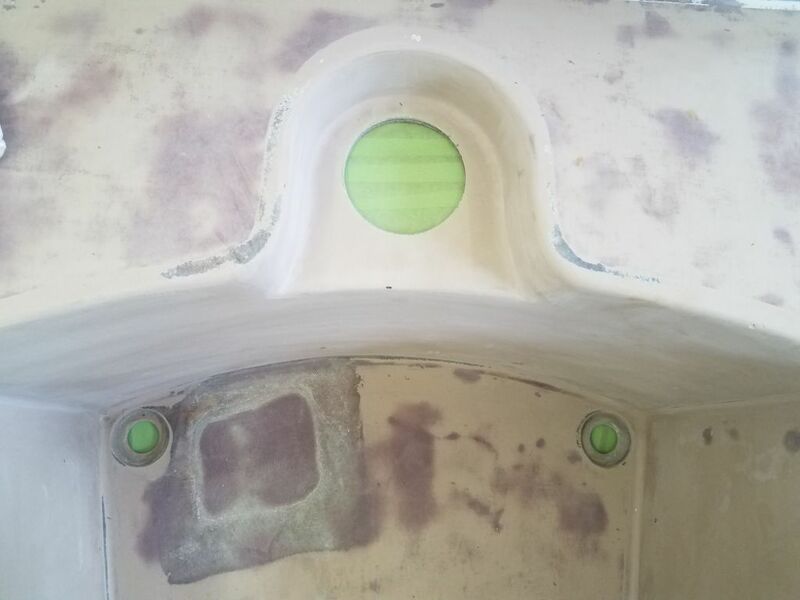 and while access to the hull was clear, I applied some masking paper below the previously-masked waterline mark, to protect the bottom from overspray when I sprayed the hull. 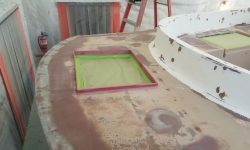 Then, I set up the staging as needed. 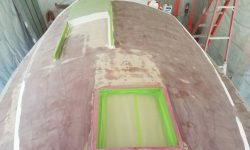 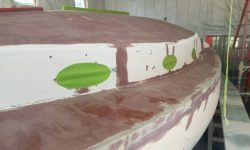 Continuing on deck, I solvent-washed the cabin sides and sidedecks, then masked over the six elliptical port openings in the cabin sides. 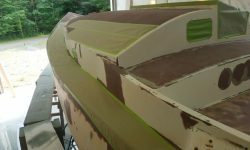 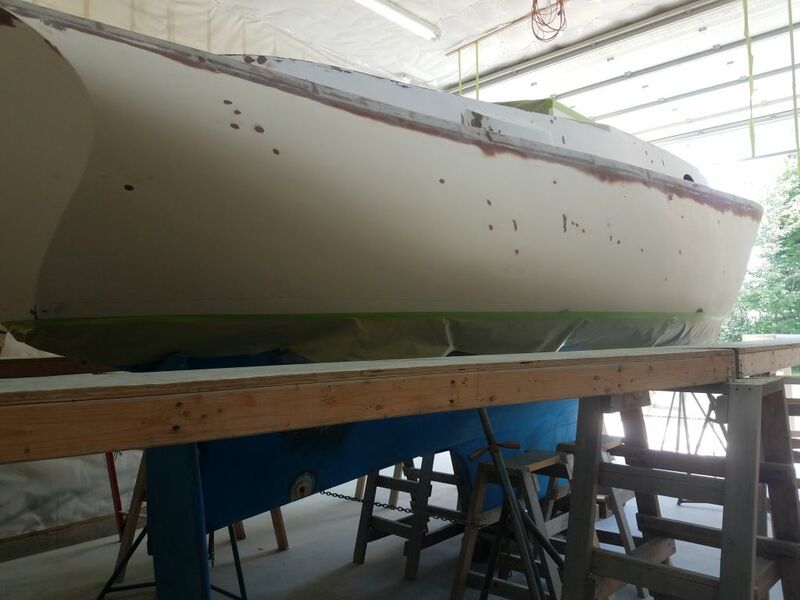 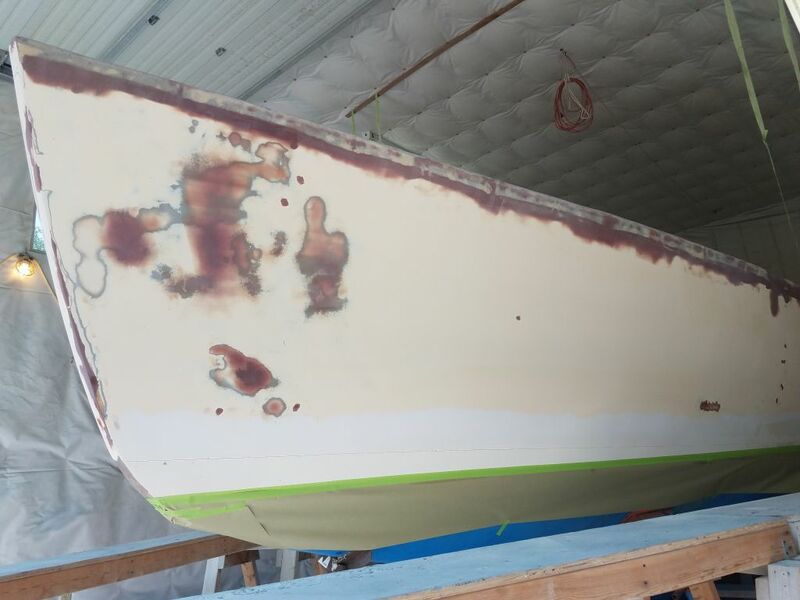 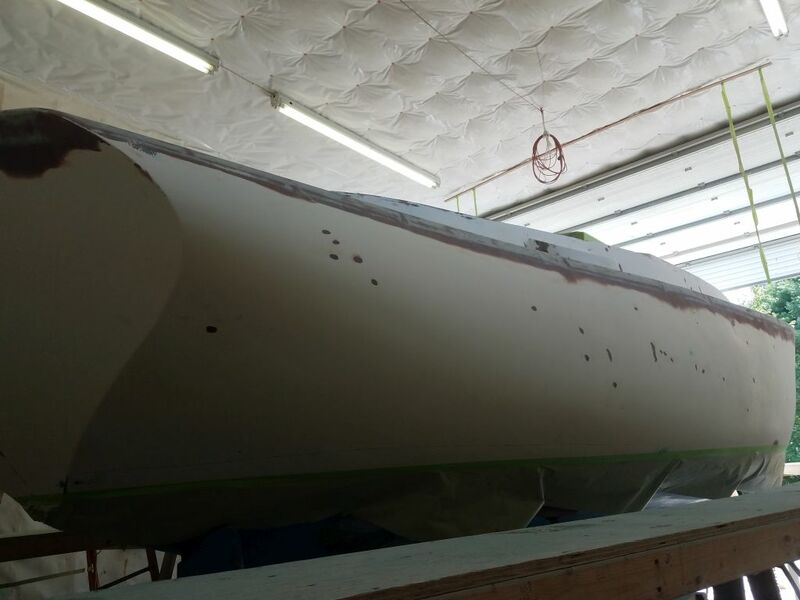 Now I solvent-washed the hull, getting what I could reach from the staging, then moving to the floor to finish up the last parts. 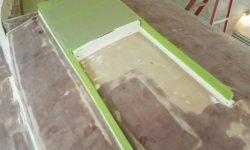 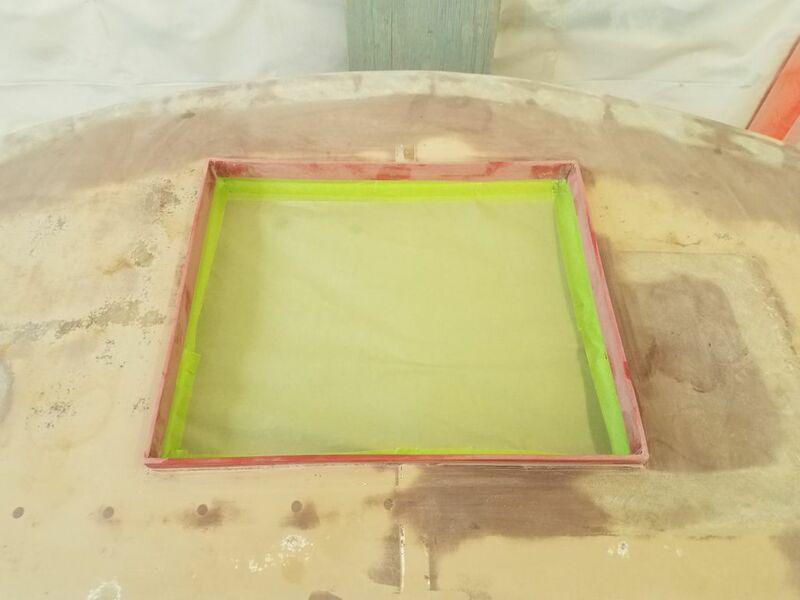 Like the decks, this was a basic solvent wash with paint thinner to remove the bulk of the dust and/or prepare for masking tape. 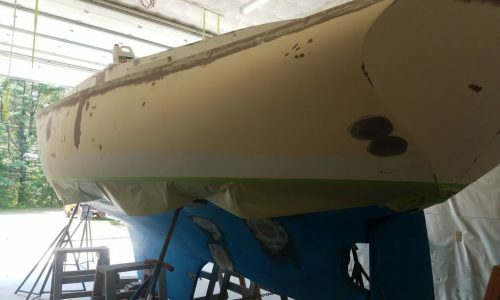 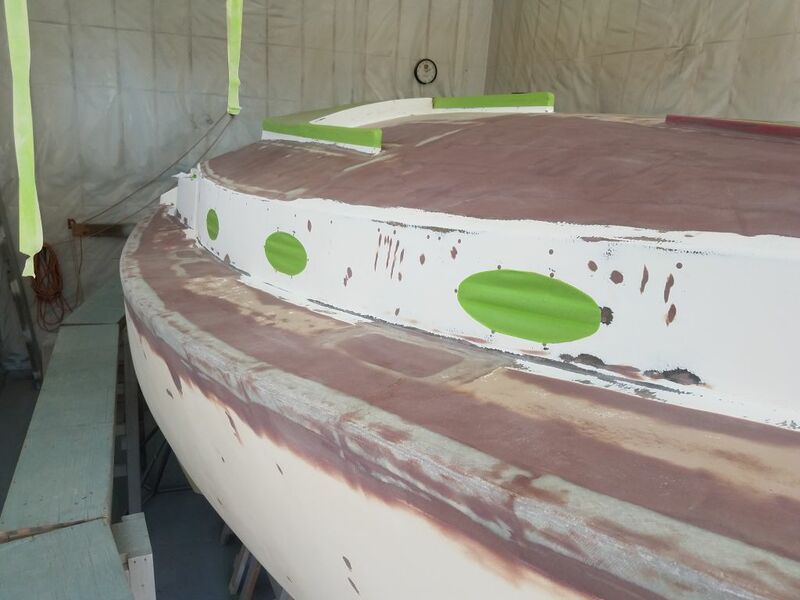 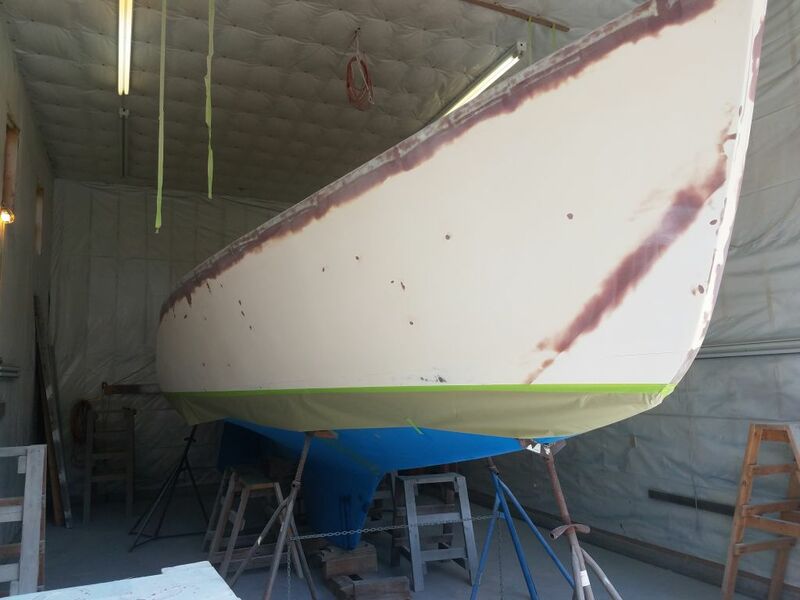 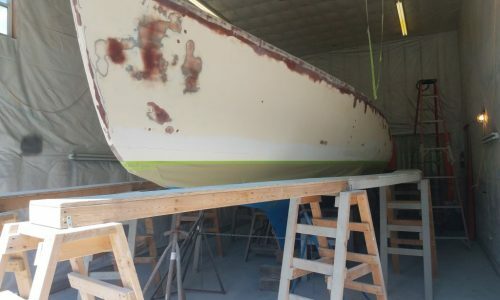 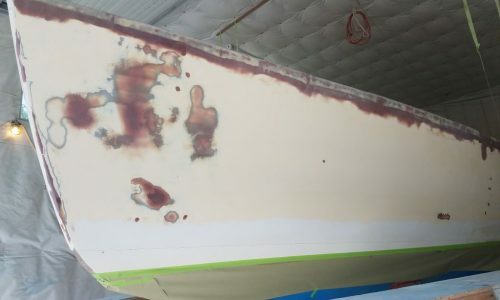 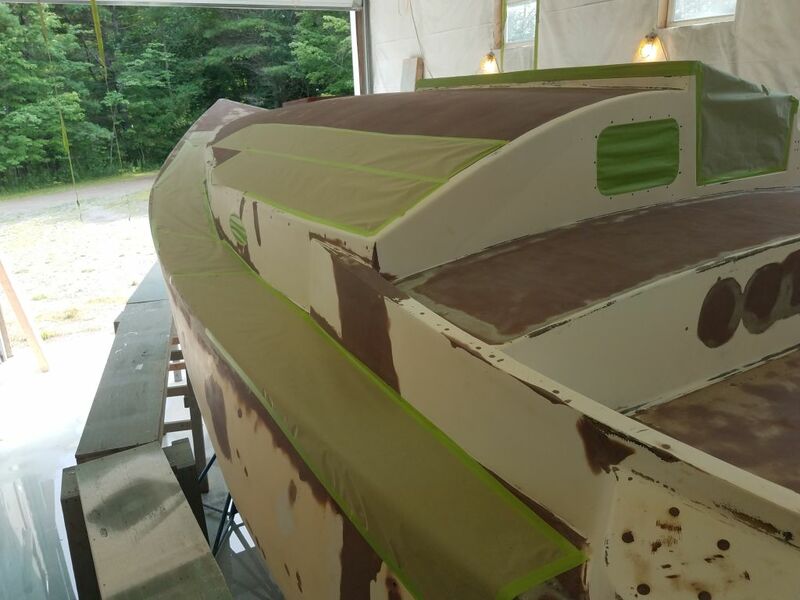 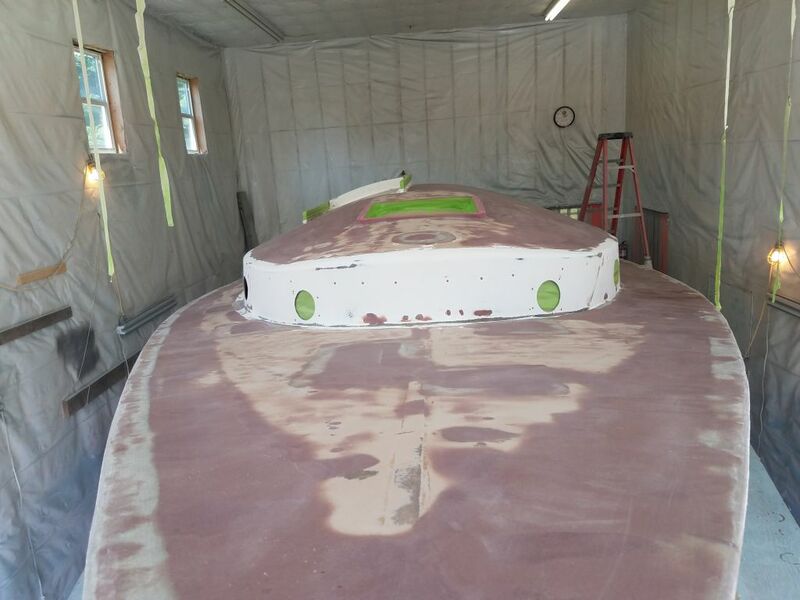 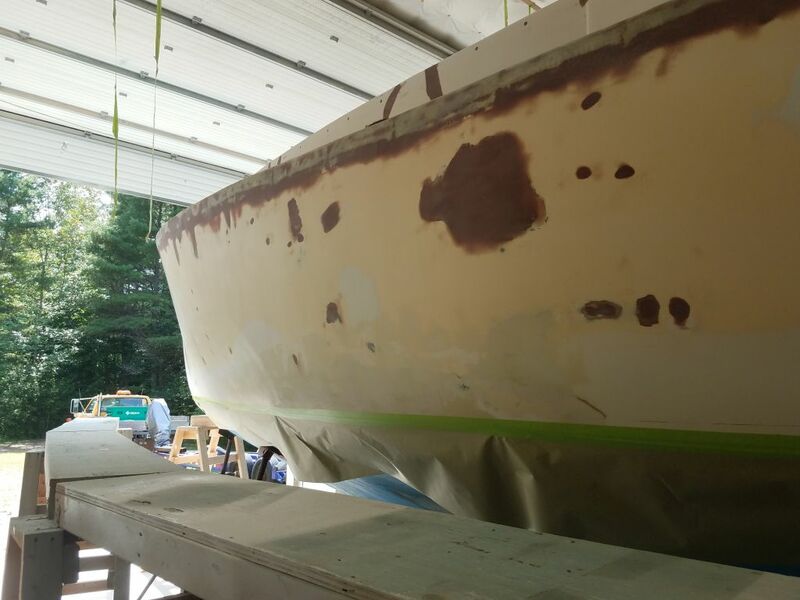 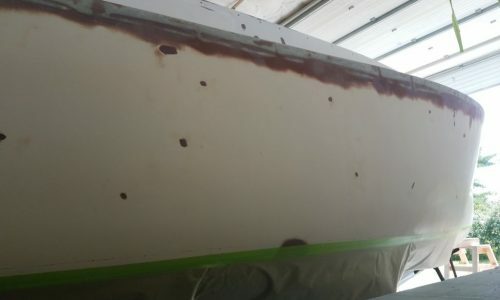 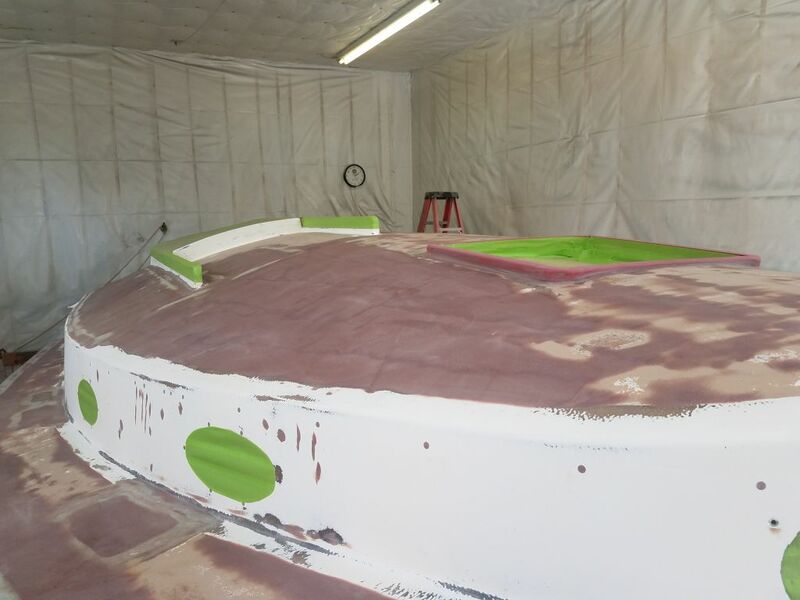 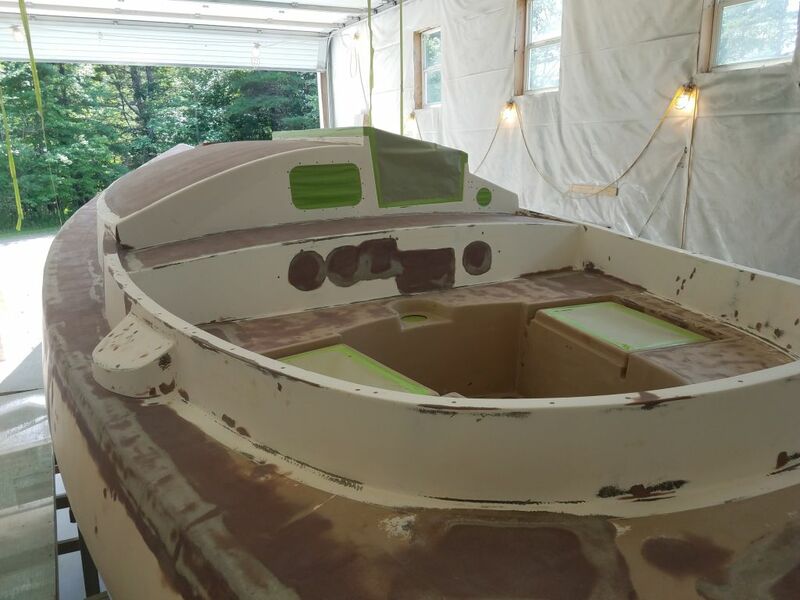 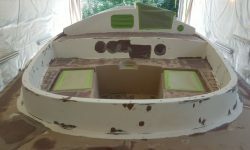 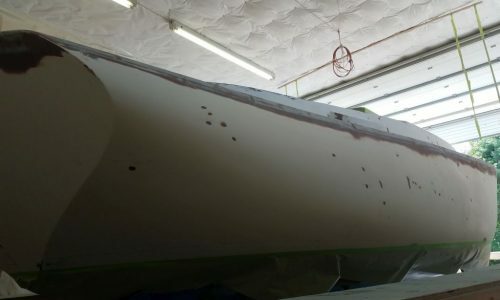 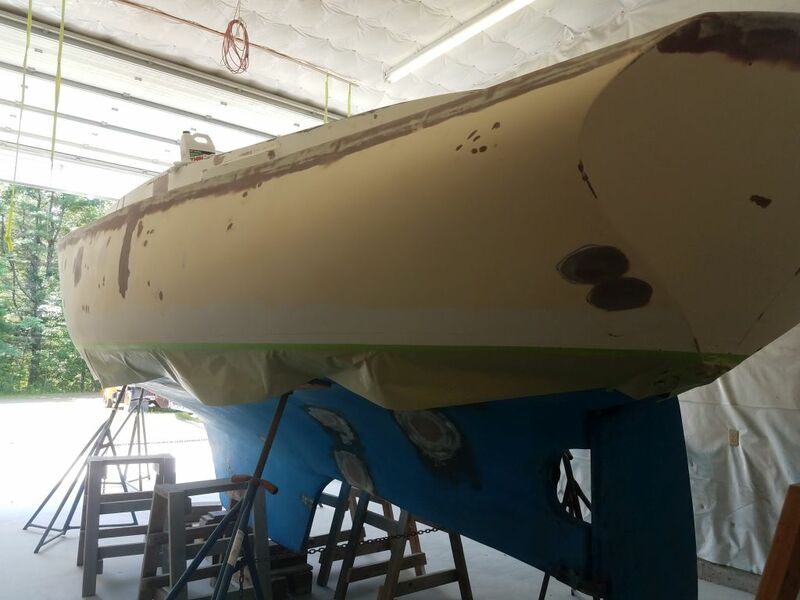 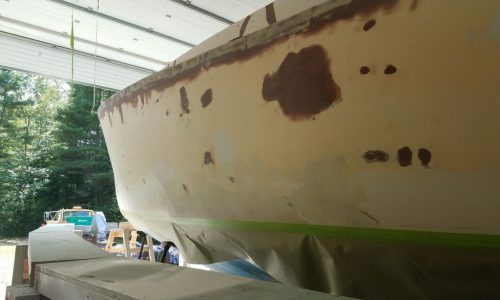 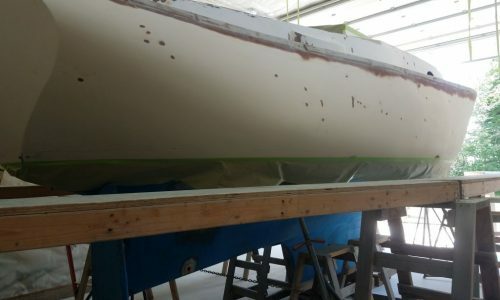 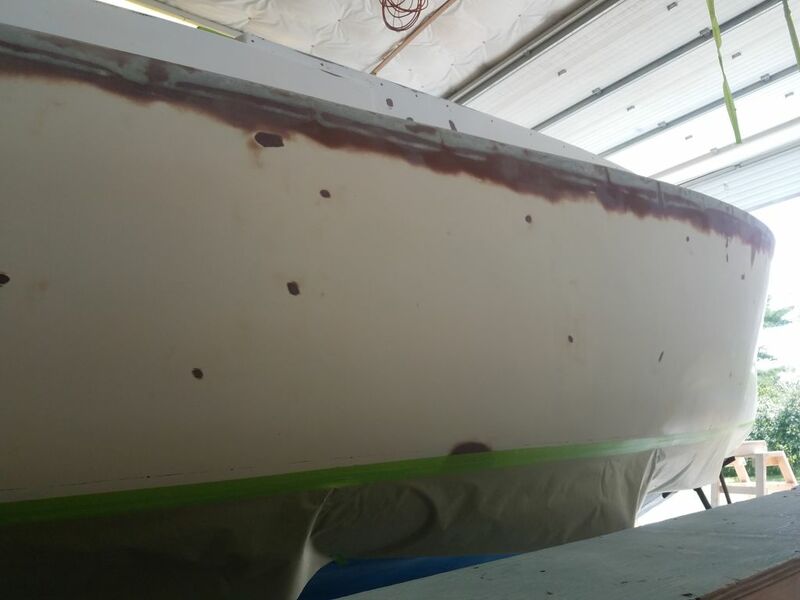 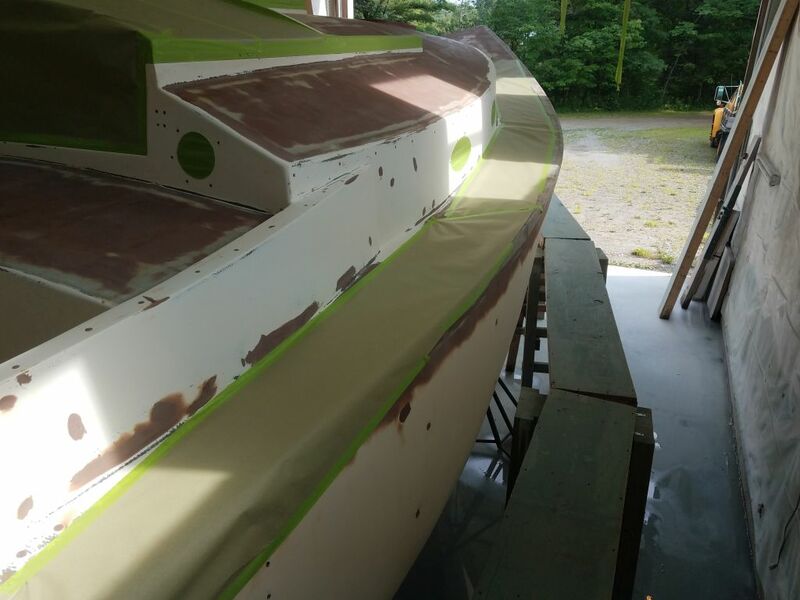 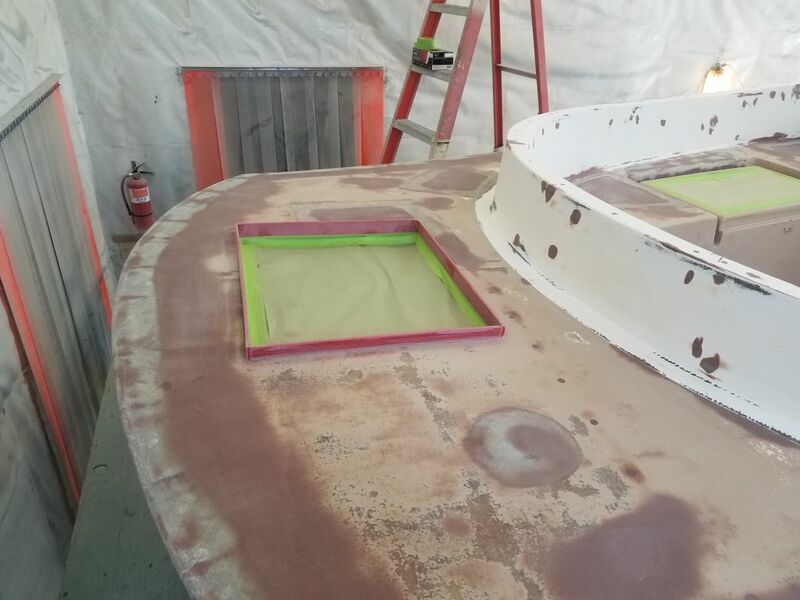 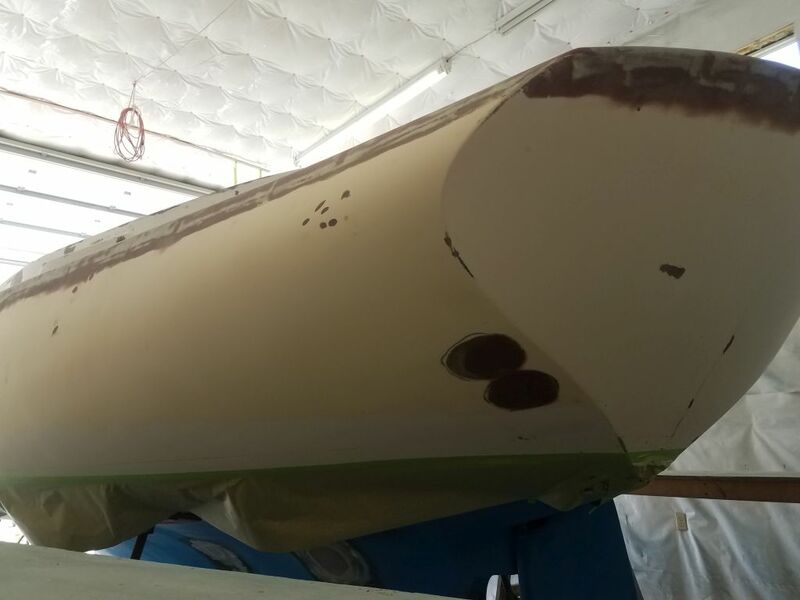 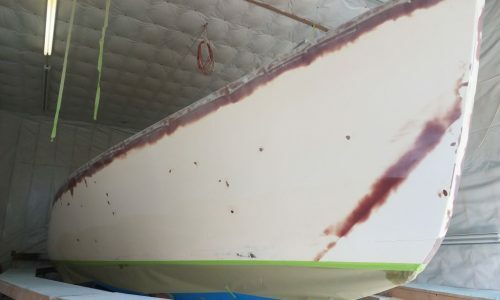 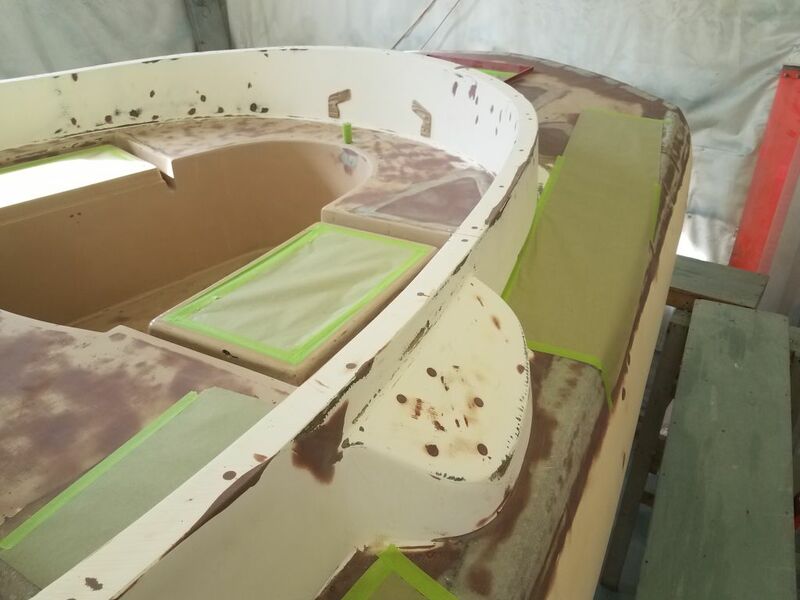 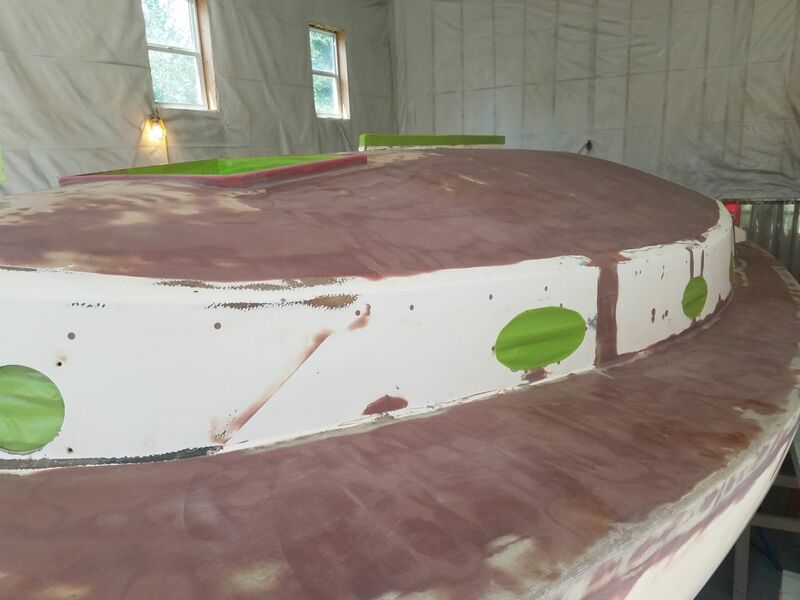 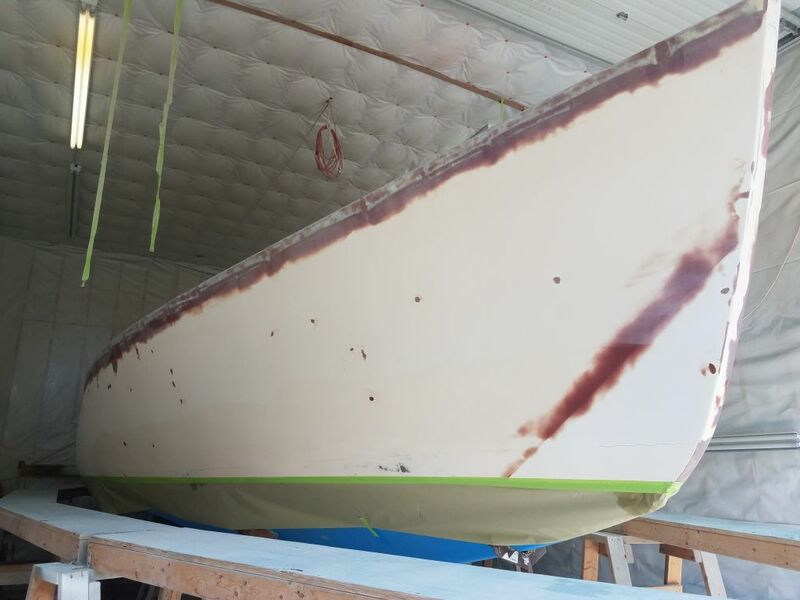 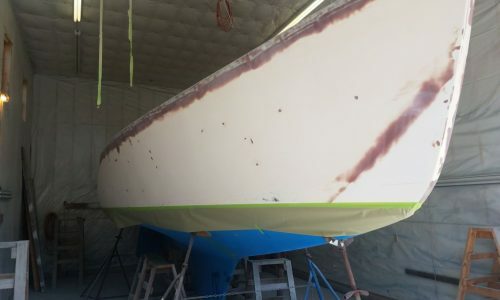 With all the other prep now complete, I washed down the staging and floor with water to calm and remove any final dust, then turned to the final solvent wash of hull and deck, this time with the paint system’s proprietary wipe-down solvent intended for the task. 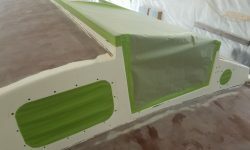 On the decks, I added some paper, well-taped in place, on which I’d need to stand or kneel during the first parts of the spraying later on, so I could reach the centermost portions of the coachroof and the cockpit well. 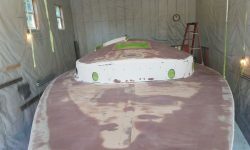 Several final preparation steps remained, and I’d complete those next time.